CLICK HERE FOR WEEKLY ADS! CLICK HERE FOR FREEZER SPECIALS! We offer bedding plants, hanging baskets, potting soil, mums, straw bales, firewood, Livingston and Heirloom garden seeds. Four families came together in planning, designing and building their own business. On May 1, 2007, we opened the door to our store that we built from the ground up. It started as just a dinner conversation and a few scratches on paper. We discussed how the area was growing and how some day someone would build a store in Hamel. Then we thought, “why not us”. That’s how it came to be. Then a name. What to call it? 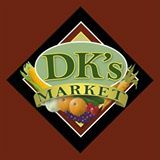 After tossing around a few names, we decided to take the initials from our children’s first names and the initial of one of owner’s last name and call our store DK’s Market. We are an independently owned and operated store which takes pride in our customer service and quality products offered to you in an attractive, clean building. If there is something you need, we try to get it for you. If you have an event you need to plan for, we are here to help. We offer a full line of grocery products, fresh produce, hot and cold deli department, fresh cut meat department, dairy products, liquor, beer, wine, lottery, cigarettes, ice, propane, greeting cards, wood and wood bundles and seasonal products (plants, mums, pumpkins etc.) 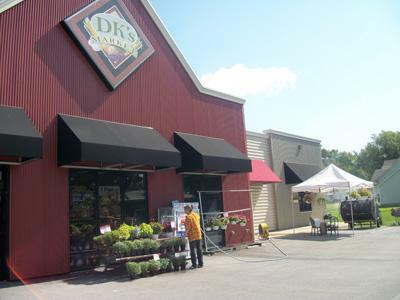 We are known for our friendly service, full service fresh cut meat department, our DK’s fried chicken, BBQ Thursdays, One Day Only Meat Sales and our Fall Craft Fairs. Want to see the fun we have? Check out our Facebook photo page. Come shop at a great store that appreciates their customers and wants to call you friend. Shop Small Business.